Of course, the above title isn’t about a Beer Library, where one might check out a vintage brew, or preserve it in a vault. I wonder if that exists? What I actually want to talk about is the golden rule of libraries: NO FOOD OR DRINK, and if it is ever appropriate to break that rule in a special library. I was sorely tempted this weekend, but held the line so I could spend some time thinking it through. Give ’em an inch and they’ll take a mile, y’know…and I want to choose which mile they can have. This past week, the AAC hosted 40 climbers from 24 countries, about 25 editors from climbing journals around the world, and about 100 US climbers, and there was a Board of Directors meeting. We had a couple of big parties, The Gourds played, and no one got to climb because it wouldn’t stop raining. There were a lot of people in the building, and many of them had no idea how fantastic a resource this library is. I wanted them to spend time here, so we kept the doors open as much as possible, and on Saturday night there were wet, cold people holding beers and they wanted to come in to hang out, read, and talk to other climbers about what they were reading. Which brings us, once again, to a conversation about the nature of the collection (circulating signed first editions of route guides that come back with rocks and dust between the pages) and the nature of the people who are the primary patrons (men and women who take huge calculated risks in the name of adventure and exploration). These are people who would use (and support) the library more if they knew more about it. 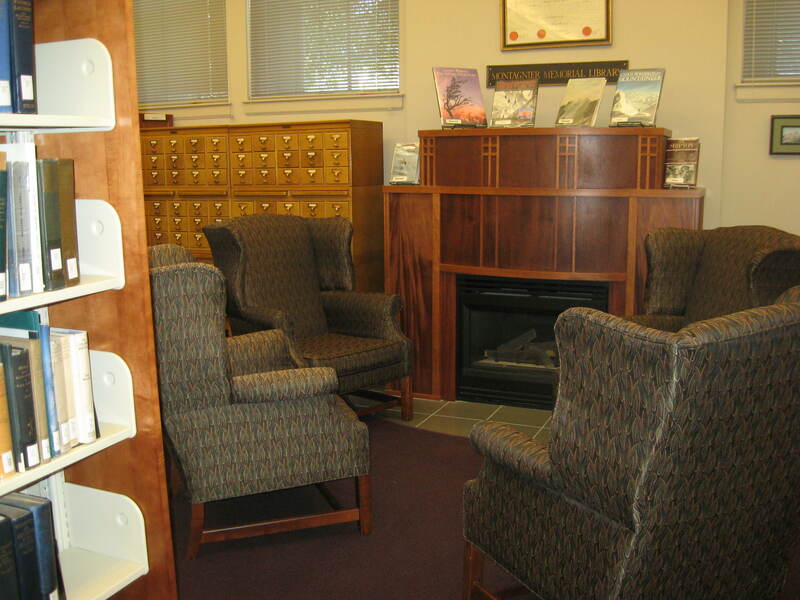 There’s a big push to make the library more relevant to the club members and to new members, and I think that will happen if the library is a fun place to be. And, for the most part, the members are respectful of the library rules. So…what’s the matter with a little beer or coffee when folks are gathered around the (non-functional) fireplace, talking about the places they’ve been and where they want to go? Seems like the risk of a spill is far outweighed by the RL social networking – especially when you factor in the fact that it’s a small library, easily monitored; there’s very low relative humidity here, and very few insects. I like the University of Minnesota Libraries policy. I think we should get our logo on some adult sippy cups. No red wine and no food though. And I think the idea of the circulation desk/bar might not be such a good idea either – there’s just no room for a kegerator.